(P)leather trousers: H&M. 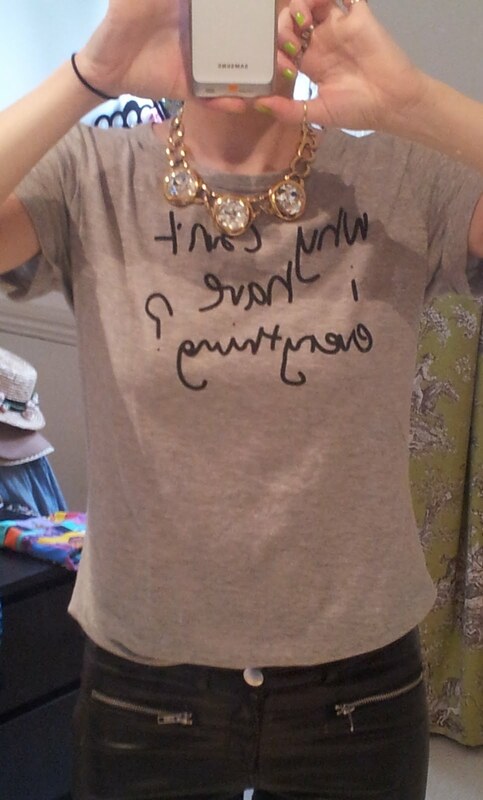 'Why Can't I Have Everything' T shirt: Topshop. 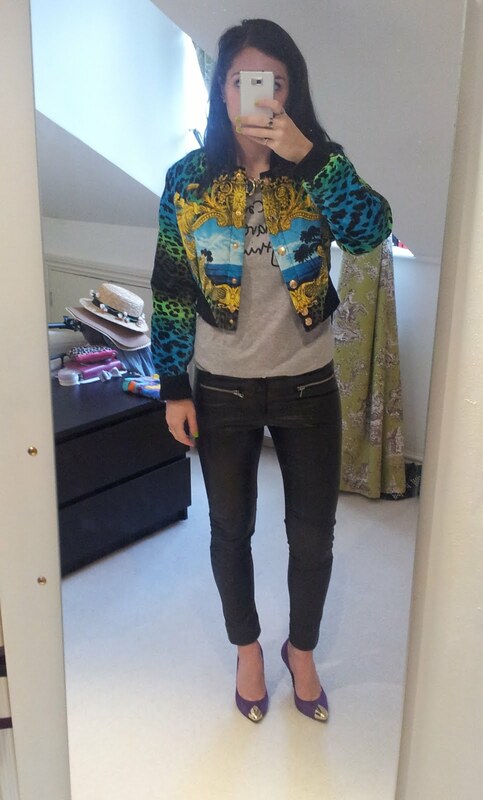 Velvet bomber jacket: Versace for H&M. 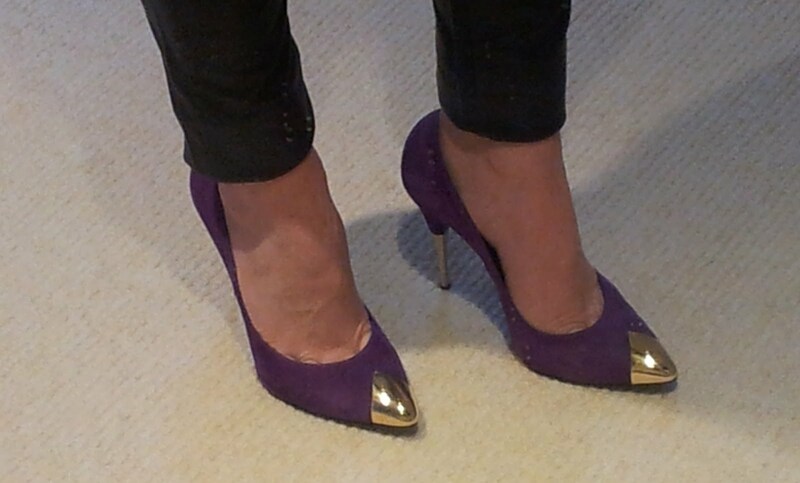 Faux diamond necklace: Susan Caplan Purple suede heels with metal heel and toe cap: Schuh.